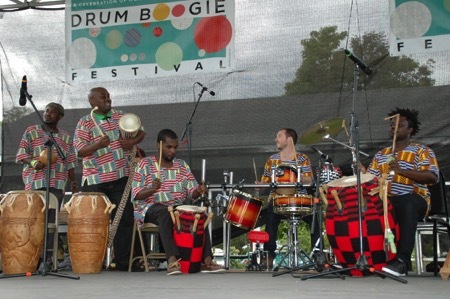 Drum Boogie Festival® was a Booming Success! Since 2009, I’ve been the Executive Producer and driving force behind the Drum Boogie Festival, a free, fun, daylong music festival. 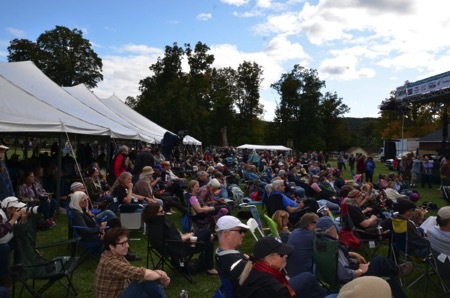 The fifth biennial Drum Boogie Festival was held in Woodstock, NY on Saturday, Sept. 9th, 2017. 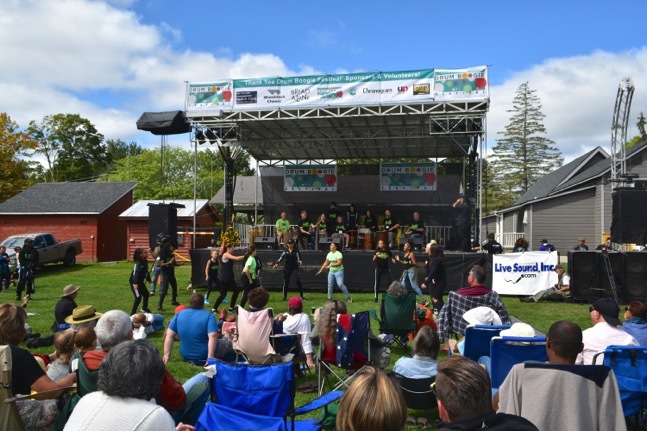 Several thousand people enjoyed a great day of music as eleven renowned acts, many of them GRAMMY® Award-winners, performed international styles of percussion and dance. 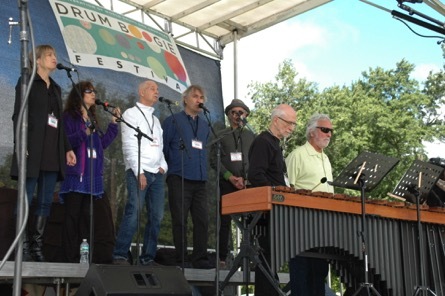 This year, the festival opened with a performance by throat singers from the local group Prana, and members of the GRAMMY® Award-winning percussion quartet NEXUS. 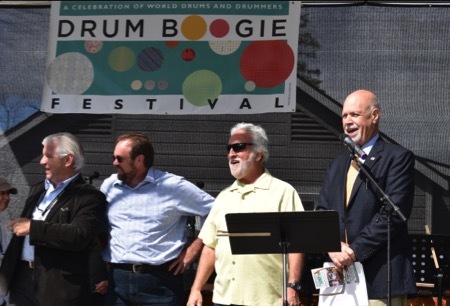 The Drum Boogie Festival is my brainchild and was spurred by numerous conversations with New York State Assembly member Kevin Cahill over a span of several years. 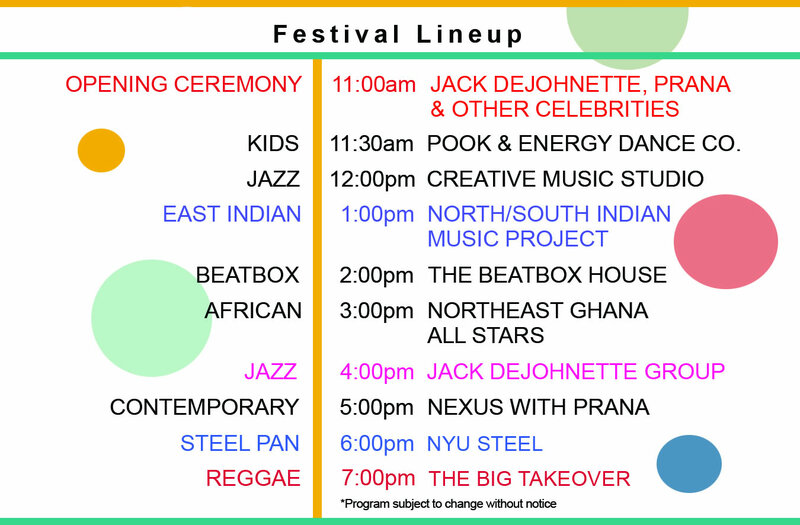 After much encouragement from Cahill and a generous grant from the New York State Office of Parks, Recreation and Historic Preservation, I created a one-day event presenting performers of world drumming in many distinct forms: jazz, contemporary, ragtime, Caribbean, steel pan, Eastern, reggae and African styles. 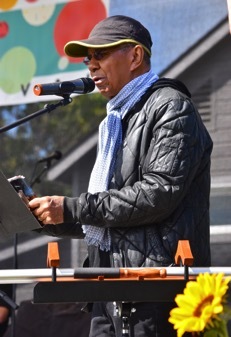 In addition to the performers, this year’s festival included several notable guests from both the music industry and the Woodstock area, who introduced the acts and heightened the crowd’s excitement. Presenters included Kevin Cahill, Tim Moore, Jack DeJohnette, Martha Frankel, Julian Lines, Dan Leader, Baird Hersey, Leslie Gerber and me. This was the largest and most successful Drum Boogie Festival to date, drawing an estimated 4,000 people to Woodstock, NY!